When you think of Nevada in the desert one cannot think there will ever be a flood as the last biggest flood took place in 1862. The problem is that flood damage can happen anytime and not always caused by natural disasters. Storm drains and main water burst pipes can also cause flood damage. If you need a flood cleanup Las Vegas expert, Elite Water Damage Las Vegas can help you out. As you know flood damage can be devastating and needs immediate action. Therefore, what can you do until help arrives? Let us find out. When flood damage happens, the important thing is your safety. View the surrounding area and ask yourself how safe your home is to stay. The biggest prevalent concerns are electrifying, slip, and fall hazards. Do not move wet materials by yourself, as it can be heavy. Contact our emergency number 702-819-6373 to take care of your water damage today. You can mop and blot the excess water to remove it. Remove the excess water on furniture and fixtures by wiping it down. Remove and support wet cushions and upholstery. If you have power presents you can turn the air conditioner on to dry out the air. Remove all rugs and art objects to a dry place. Get rid of items on the floor that can be a slipping hazard. What should you not do after flooding? Do not leave wet fabrics lying around and hang them up for drying this prevent mold from growing. Never leave your books or color items lying on floors and never use your vacuum to remove water. Do not switch on your electrical appliances as this could lead to shock. Never turn on fixtures if the ceiling is wet and stay clear of rooms where the ceilings are sagging. Once our dedicated team arrives, they will bring their expertise and equipment to restore your home. We use advanced equipment to remove water while monitoring and documenting the process from the beginning to the end. With water damage, you need a unique solution as flood damage fluctuates in every situation. The first step is getting in contact with us. Our representatives are available 24/7 to handle your water damage problems. They will ask you a couple of questions to speed up the process. This is important to help us act fast to get your property restored. Once we arrive at your place, we do a careful examination of your home to determine the type of water damage caused and areas affected. We will start with the water removal/extraction service to remove a thousand gallons of water. Our equipment is powerful and we make use of pumps and vacuums during the process. We start this process immediately to prevent further damage from taking place and prevents mold from growing. After removing the bulk of water, we use specialized equipment to reach water found in hard to reach places. We will use different drying methods to remove moisture from the air leaving your place dry. Elite Water Damage Las Vegas will help clean your furniture and belongings with different cleaning techniques. Furthermore, our experts will sanitize your home to remove odors. The last step is to restore your home or business back to its previous state. Our specialists can help replace ceilings, drywall, or even help to restore your home. 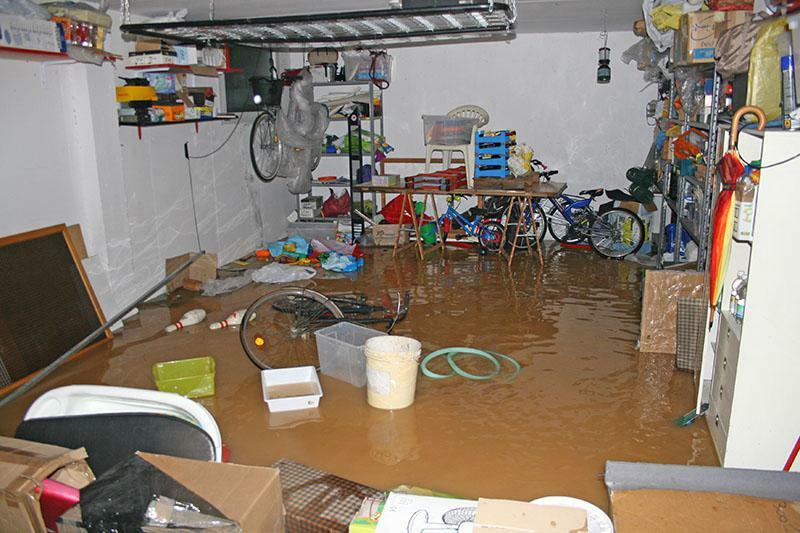 No matter what your flood damage needs are, call us today to take care of your problem.